Discussion in 'Pin Trading' started by DisneyJ, Jan 3, 2019. Since I have (2) - I thought why not offer the extra up for trade. 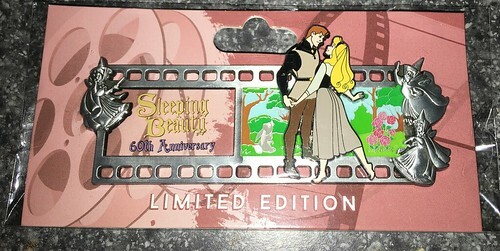 Would also consider other Limited release pins. Fins4pins, pincrazy and krand1276 like this. There aren't pins that will find a home with me, but I'm giving mad props for the creativity in the sales pitch! I hope you get successful trades for them! Unfortunately we do not have any trade matches. Perhaps you could take a look at my traders and see if I might have anything you want in trade? And even though Finn is not on my wants list, I would trade for Finn also, if that is part of the deal. A hugely successful trade with @TheMickeyMouseRules! Now, please see post #1 for what’s next. Thank you for the reply! I like several of your pins. Do you have a scan of this one? HI which one or ones do you want pictures of?? I have this pin.. from your wants. Pretty sure it is not worth your traders, but since you said pinpics was not 100% thought I would throw this one out there. This is a great pin too!